Greg holds numerous designations and certifications, including CRB, CRS, GRI and Master GRI, AHWD, SFR, e-PRO, MRP, PSA, RENE, and RSPS. As a real estate educator and proponent of professional development, Greg is a Tennessee Real Estate Commission (TREC)-approved course instructor, as well as the author of several TREC-approved continuing-education courses on real estate topics. He works closely with Tennessee REALTORS®, the Memphis Area Association of REALTORS® and other TREC-approved real estate providers in developing new courses for real estate professionals. He is a graduate of the University of Memphis, a Board member of Mortgage Bankers of Memphis, and a Board Member of the Real Estate Business Institute. He serves as a Volunteer Instructor for United Housing of Memphis, is a Former Trustee of the Memphis Area Association of REALTORS® Education Foundation, and is a Trustee of the Memphis Area Association of REALTORS® Benevolent Fund. Along with his role with the state Association, Greg is 2019 President-elect of the Tennessee Residential Real Estate Council (TN RRC). He is an RPAC Major Investor, a life member of the MAAR Multi-Milli0n Dollar Sales Club. He was the 2018 President of MAARketMasters Toastmasters Chapter. 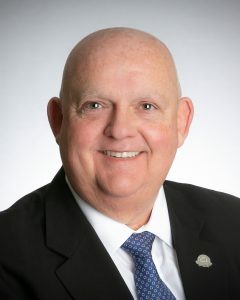 As a 2019 Division 1 Vice President, Greg is available to update Local Associations and other audiences on timely real estate topics from a statewide perspective, provide information about member services and benefits and listen to any insights or ideas that could be shared at the state level.